Friday was our official celebrating of John’s birthday so we went out to dinner. I had a disappointing shrimp risotto which was more like some shrimp on a bed of rice swimming in chicken stock. On the plus side I was not enticed to eat the whole thing. Mostly I ate the shrimp and picked out the vegetables. Sigh. 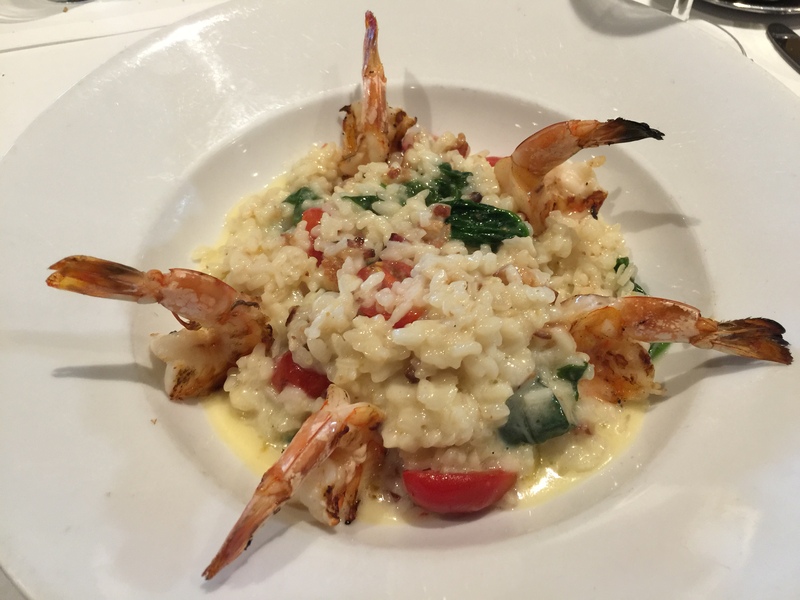 This entry was posted in Dining out, Shellfish, Vegetables and tagged rice, risotto, shrimp, Vegetables. Bookmark the permalink.